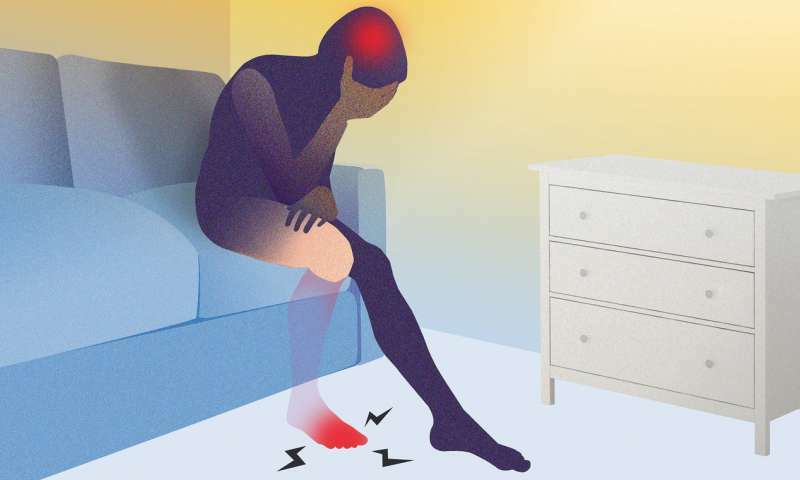 Although pain management before amputation is important, the use of pre-emptive analgesia for prevention of phantom limb pain is controversial. A study published in the “Journal of Anesthesia” aimed to determine the factors associated with perioperative phantom limb pain. Researchers in the department of anesthesiology at Hirosaki University Graduate School reviewed the medical records of patients receiving amputation surgery at its hospital between April 1, 2013 and October 31, 2017. To determine which pre-operative factors could affect the development of phantom limb pain, researchers performed single variable analysis to find candidate factors, then did multi variable regression analysis. Incidence of phantom limb pain was 50 percent (22/44), and there was no recorded difference between the groups in types of anesthesia and post-operative pain levels. The results of the study suggested that diabetes mellitus and uncontrollable pre-operative pain with non-steroidal anti-inflammatory drugs (NSAIDs) were independently associated with the development of phantom limb pain. No link could be found between the types of anesthesia and the degree of post-operative pain to the phantom pain the patients had. More studies need to be performed, but for now we may be getting closer to figuring out what causes phantom pain and ways in which we can treat it.